Protecting packings, plungers and cylinders in piston pumps. Manufacturers use high-solids coatings across a multitude of finishing and painting applications in a variety of sectors. High- solids coatings are an ideal method to create consistent layers of coating, each with a precise thickness. Coating application systems are used to facilitate these applications, and at the heart of many systems is a piston pump. The piston pumps work with lines, regulators, filters, nozzles and other in-line components to apply high-solids coatings to the work area in shipbuilding, bridge building, automotive, aviation and general manufacturing. Because of the harshness of the materials in high-solids coatings, abrasion-resistance, pump speed and pump size are factors to evaluate when configuring the pump for the application system. The materials used in high-solids coatings present challenges to the integrity of the pump in the application system. High- solids coatings often contain pigments, resins and other filler materials with abrasive properties, such as talc, to improve surface adhesion and the workability of coatings. When transferred at high pressure and continuous speed through a piston pump, even the smallest abrasion effect is magnified and can lead to excessive wear on unprotected internal pump components, such as packings, seals, plungers and cylinders. High-solids coatings can be abrasive and corrosive, so pump components must be designed to resist damaging effects. If the parts in the piston pump are not designed to resist the abrasive action of these coatings, over time the filler materials will grind against the packings, plunger and cylinder areas of the pump’s lower assembly, causing scoring of packing seals and galling on cylinder walls. This leads to premature wear and reduced service life of the piston pump. Pump packing seals and plungers are particular areas of concern in applications with abrasive materials. Leather upper and lower packings are highly resistant to the harsh scoring that causes fluid leakage between the plunger and cylinder wall, making it an ideal material option for these vulnerable components. Ethylene propylene rubber (EPR), ultra-high molecular weight polyethylene (UHMW-PE) or polyurethane can also be suitable for upper and lower packings depending on the chemical properties of the filler or other components. Plungers and cylinders should be configured with hardened carbon, stainless steel or chrome-plated steel for abrasion- resistance that enhances pump performance and service life. When coating materials have corrosive properties, ceramic- coated internal parts provide additional protection. All in-line pump elements that come into contact with the coating material at speed and pressure should also be abrasion-resistant. Nylon hoses work well for abrasive applications as well as in-line components such as regulators. Filters made from hardened carbon, tungsten carbide or stainless steel offer rigorous abrasion resistance. Speed is another significant consideration when configuring pumps for use in many high-solids coatings applications. If a pump must continuously run at its maximum cycle rate to provide the fluid transfer rate needed for the application, it will require more frequent service and will ultimately have a shorter operating life. Using a smaller pump that must operate at a higher cycle rate to generate an adequate flow rate for the application also risks material separation, which can result in uneven coverage of the coating and poor finish quality. Selecting a pump that can operate at the correct speed—rather than at an overly fast cycle rate—prevents material separation in the coating during application, reduces service costs and maximizes the service life of the pump. 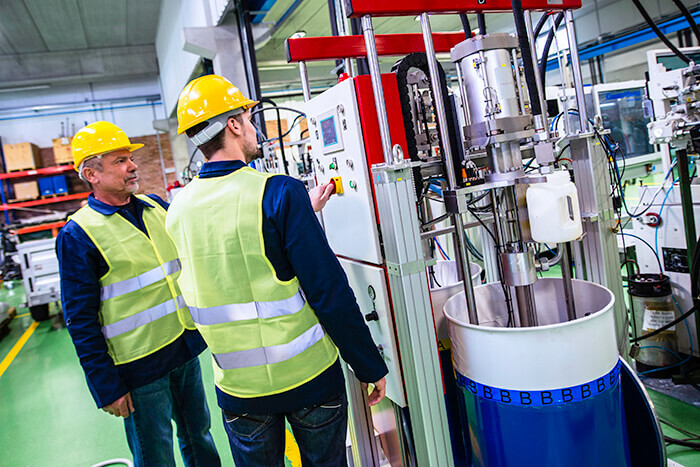 Application system operators should use a pump that is capable of meeting fluid delivery requirements at a rate that is below its fully rated speed in cycles per minute. For example, if an application requires a transfer rate of 5 gallons per minute (gpm), specifying a pump with a 10 gpm transfer rate will allow this pump to run continuously below its maximum cycle rate. This approach results in reduced ongoing service costs, longer service intervals and a longer operating life for the pump. Focusing on the properties of the specific high-solids coatings material makes selecting a pump easier. Jim Artmann is the global product leader for piston pumps at ARO, a worldwide manufacturer of fluid management products. For more information, visit www.arozone.com.